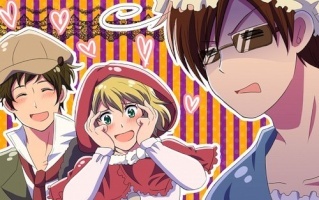 Free forum : Historical Hetalia RP Site. This is where you'll see the Rules, Taken characters, so on and so forth. Read these before joining. Any European country here can post any historical event such as the Seven Years War. Any country can post here, since obviously other countries from other continents have interacted with each other like the American Revolution, this is where you can post. Here you can have any RP from an Alternative Universe. Here you can just have a usual normal Rp about current events, hanging out, anything really. Anything you'd like to Advertise? Then post here! This is where you should tell everyone especially me if you're not gonna be here for a couple weeks. Because i will be deleting inactive characters.